Modeco Flats ultra luxury apartments, located near Westwood Village in West Seattle, combine comfort, style, and the beauty of natural finishes, in a neighborhood with all the conveniences you desire. Designed using sustainable materials and outfitted with energy efficient appliances. Located across the street from Westwood Village Shopping Center, Modeco Flats offers modern amenities, top of the line appliances, and convenient access to shopping, restaurants, transit lines, and is just minutes from the waters of Puget Sound. 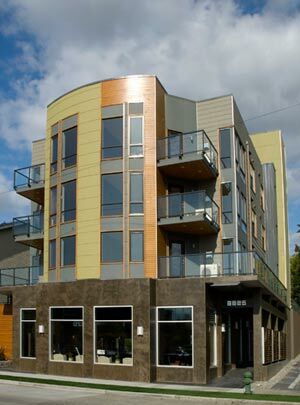 Energy efficient and eco friendly, Modeco Flats has earned a four star Built Green rating - a first in West Seattle. MX Guarddog provides free spam filtering.